Crazy Rich Asians is off to an insanely poor start here in China. The film, which is the first by a Hollywood studio to feature a predominantly Asian cast since 1993's The Joy Luck Club, was finally released in China on November 30, nearly three months after its US debut. On its opening weekend, it has struggled to surpass a meager USD1.2 million at the box office. It seems that the prolonged discussion by Chinese authorities about whether to screen the film in Chinese theaters has been a major factor in the muted response by the Chinese public. Given that the film was released months ago, it is likely that a significant number of movie-goers had already watched the film prior to its China release. As can be seen over on the film's Douban page, users have been reviewing Crazy Rich Asians for months, despite it only being released on November 30. Chinese authorities approve roughly 34 foreign films for screening every year, and being allowed entry into the world’s second largest movie market drastically improves earnings outlooks for those lucky enough to be approved. Since pulling in USD26.5 million at the US box office over its opening weekend on August 17, the film has earned USD174 million worldwide as of December 2. Of this total, only 26.9 percent was earned outside of the US market – a statistic that could have been drastically improved following a successful debut in the Chinese market. 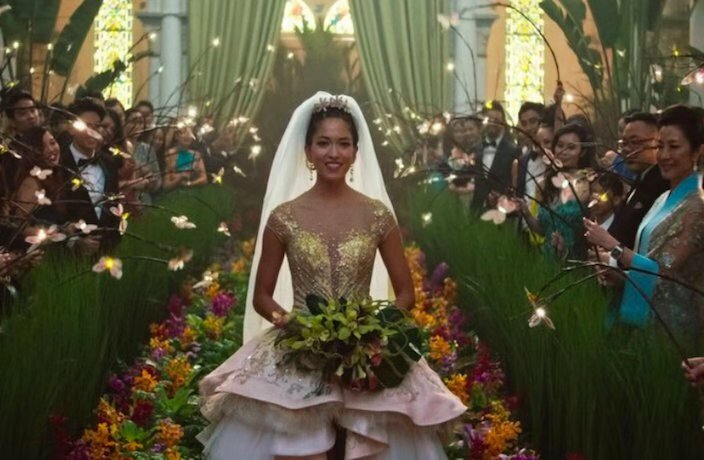 As detailed by Variety, many netizens have criticized the movie for its use of stereotypes, while others have expressed discontent with how the film’s Western gaze depicts Asians. In the aftermath of its poor opening day, the number of daily screenings in China on its opening weekend was slashed from 32,000 on Friday to 18,700 on Saturday and earned about USD410,000 on Friday and USD400,000 on Saturday. "This movie is not a story about Asians, but a story about rich people. We all misunderstood," said one Douban user, where the film has a rating of 6.2 out of 10. That is significantly less acclaim than in the US, where Rotten Tomatoes users have given it a rating of 92 out of 100. Bohemian Rhapsody was released in China last week to much fanfare among Chinese movie buffs. From box office bombs to record-breaking blockbusters, it's been an eventful year for domestic films in China. From heralded classics to campy horror flicks, here are some of our favorite Chinese movies to help pass your steamy summer.